Rose-Kim Knits: Back in the Pot! I can't seem to capture the super-glow-in-the-dark-screaming-neon-hold-me-mommy-I'm-scared-toxic-waste aspect of this yarn on camera. But, believe me, it's there. 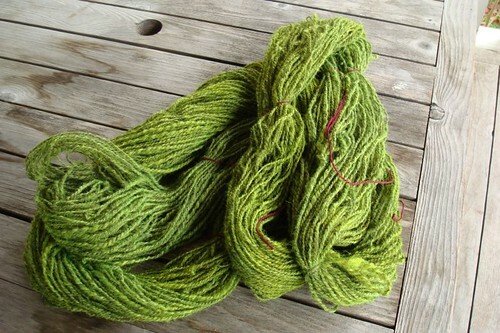 I put it back in the dyepot and will try to tone it down with a bit of black.